Full time camps require students to be enrolled every day of the camp. Part time camps require students to be enrolled for a minimum of 2 days of the camp. Priority Registration for Summer Camp is for all currently enrolled STAR Galaxy students and all incoming Kindergartners, excluding incoming TK students. Open Registration for Summer Camp is for any incoming Kindergartners - incoming 7th grade students, excluding incoming TK students. Sign-ups are ONLY available online. A one time (non-refundable) registration fee of $75 is required. When I say go, you say cheer!! Go, Cheer! LET'S GO CHEER! When you sign up for Cheer Camp, you will get the full cheerleading experience by learning jumps, different cheers, and even some stunts! You and your team will work together to put on an amazing performance for your family and friends to view at the end of the week. If you love showing off your team spirit, this is the camp for you! Cheer is for all boys and girls at any experience level. *Students must wear athletic clothes and shoes daily; no open toed shoes or sandals. Students must also bring a water bottle daily. Students must wear athletic clothes that are orange, black, or white for the performance on Friday. $175 per week. 5 day enrollment required. Get ready to explore your artistic and creative side in Art Studio! You will be introduced to various types of artistic styles and mediums such as oil pastels, clay, watercolors and more. Art Studio will introduce brand new material filled with creativity, color and fun! 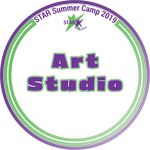 Using professional mediums, you will create coil portraits, clay mosaics, rubbings, sculptures and collages while also learning the history behind famous works of arts.This camp will be full of inspiration, imagination and inventiveness, so release your inner artist and sign up today! $35 per day. 2 day minimum enrollment required. Move over Preschool! Kindergarten here we come! STAR Kinder Camp is the place to be for summertime fun before your big kid school year begins. Transition from Preschool to Kindergarten while exploring art, music, science, movement and so much more! Have a blast meeting new friends in a safe and closely monitored environment. Play with potential new classmates who are just as excited as you are to start Kindergarten. Learning is fun in a structured classroom with a balance of hands-on enrichment based academic and recreational activities. Each fun-filled week is theme-based including: K-STAR Camp Out, Jurassic World, STAR's & Stripes, At the Beach, Out of This World, Pirates, Superhero Training, At the Zoo, Happiest Week on Earth (Disney), and All About Ice Cream. 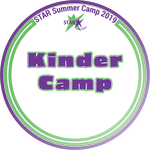 The right start is the smart start with STAR Kinder Camp! *Students must be entering Kindergarten to be able to attend this camp; Transitional Kindergartners are not eligible. *For care beyond August 9th please see SuperSTAR Camp. Have you heard of enchanted armor? The Nether? Strongholds? Have you always wanted to play Minecraft with a bunch of friends? If so, this is the camp for you! Whether you are a seasoned veteran in the arts of mining or have never played the game before, you have come to the right place. Learn how to craft, slash, break down, and build your way through the smash hit Minecraft! Make your own fuze-bead Minecraft accessories and learn how to play Minecraft on both a tablet and PC. Sign up now to start your adventure in a whole new block-filled world and Let's Play Minecraft! Attention Mythbusters! Do you love getting hands-on and conducting exciting science experiments? Do you want to explore the world around you to see what is true and what is a myth? Join our Mythbusting team where we do just that! In this camp, we will explore the world of germs, harness the power of duct tape, and delve deep into the properties of slime! We will have some explosive fun in this myth filled universe, so let your curiosity lead the way and join us in this adventure of Mythbusting! It's time to get up and move! Do you want to reach the next level of fitness by doing activities that are so fun they don't even seem like exercise? Then STAR Fit is for you! In STAR Fit, we will learn about the many habits and activities that lead to a fit and healthy lifestyle. You will get the chance to be a Superhero, dance like no one is watching, and find out how to make bowling a cardio experience! LET'S GET FIT WITH STAR FIT! *Students must wear athletic shoes, comfortable clothing and bring a water bottle daily. Pow! Bam! Bang! Come and join us as we dive into the pages of our Comic Book Adventure! You will get to create your very own comic using a variety of mediums, different pen stroke techniques, and hands-on modeling crafts to bring your comic masterpiece to life. You will learn about the history of how comic books are made and all about the legendary artists behind the scenes. Are you ready to unleash your creative mind in STAR's Comic Book Adventures? Are you a fan of unique sports games? Do you welcome new challenges? Then join us in the only summer camp that gets to virtually travel to 5 of the 7 continents to learn and play favorite children's games from all over the world. Discover the origin of some of your favorite classic games, such as Mancala, Knock the Block, and Croquet. Who knows, you may leave camp with a new favorite game from the other side of the world! There's only one way to find out. Grab your passport to experience a journey you will never forget in Games Around the World! *Students must wear athletic shoes, comfortable clothing and bring a water bottle daily. Welcome to the Happiest Camp on Earth where, as Walt Disney said, "Laughter is timeless, imagination has no age and dreams are forever." Join us as we learn how Disney was brought to life by traveling through each magical land, designing your very own set of Mickey Mouse ears, singing karaoke to your favorite Disney songs and making delicious Disneyland treats to enjoy! Show your camp spirit by dressing up in your favorite Disney costume or outfit throughout the week and let your Disney magic run wild in the Happiest Camp on Earth! Tails and claws and teeth, OH MY! Welcome to Jurassic World where we will travel back in time over 200 million years to explore the world as dinosaurs knew it! What is the science of paleontology? How do scientists and artists recreate the conditions of the Mesozoic Era today? We will explore the answers to these questions and separate fact from fiction through scientific discovery, hands-on projects and art activities. From discovering more about fossils to dinosaur-themed games and everything in between, we will explore the world when dinosaurs roamed the Earth! Are you ready to kick, dribble, pass, and run down the field as fast as you can? Just for Kicks Soccer is designed for players of all levels who want to learn and improve their soccer skills in a fun and encouraging environment. This will include practice and game time to make you a valuable team player. Each day is filled with a variety of activities to promote correct soccer techniques including small-sided games, ball mastery skill sessions, and shooting drills. The final day will include a scrimmage game where you can show off all of your new skills to family and friends! *Students must wear athletic shoes, comfortable clothing and bring a water bottle daily. Welcome designers! Have you ever found yourself looking in your closet and wishing you could customize your wardrobe? Have you ever wanted to take your everyday t-shirts from drab to totally fab? If so, STAR's Project Runway is the place for you! This week as a designer, you will get to spend your time sketching custom designs, learning about the history of fashion, creating glamorous accessories and participating in unconventional design challenges! 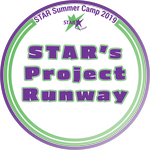 STAR's Project Runway designers will even get to use real sewing machines to create a pair of pajama pants to wear for our end of the week fashion show! Designers? Get ready to make it work! *Designers will need to provide one plain t-shirt in their size. T-shirt may be cut up, drawn on or bedazzled throughout the week. Dun dun...dun dun! Everybody out of the water and into Shark Week - STAR's Summer at Sea Camp! If you love sharks, especially Great Whites and Hammerheads, this camp is for you! Discover and investigate different types of sharks and the role that they play in our oceans. Explore their underwater world through art, science, physical games and more! We will identify shark teeth, participate in shark conservation, and even discover how sharks float. Dive on into Shark Week-STAR's Summer at Sea! *This camp will show shark videos that may be sensitive to younger students such as sharks eating other fish. Do you love to sketch, doodle or draw out masterpieces on any scrap of paper you can find? 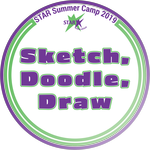 If so, then Sketch, Doodle, Draw is the camp for you! In this camp, we will explore various types of artistry such as cartooning, still life, self-portraits, and create fun images with doodles! Projects include fun with Mona Lisa, Optical illusions, and the great Vincent Van Gogh's Starry Night. This camp has everything you will need to expand your knowledge as an amazing artist! This camp is for those who seek to find a way to leave the civilized world behind. In STAR's Mighty Jungle, we will be exploring all things wild! Throughout our journey, we will explore the deep jungle, make some awesome jungle cat art, and play fun games like life-size Hungry, Hungry Hippos! If you want a week filled with wild fun, then this is the camp for you! *Students must wear athletic shoes, comfortable clothing and bring a water bottle daily. Are you an aspiring RockSTAR with little to none, or even a ton of experience? Look 0 further, RockSTAR camp is the place for you! Sign up today to work with experienced, passionate teachers who will turn you into a living, breathing RockSTAR! With classes that span the course of two weeks, the RockSTAR team will go into the depths of the music realm and give you the total RockSTAR experience, including learning about stage presence, logo creations, songwriting, and legendary bands and artists. Of course, the centerpiece of RockSTAR camp is joining and rehearsing with a 5-7 piece band to perform in front of an audience with quality instruments and equipment. Instruments and equipment are all size-appropriate and provided by STAR Education. Are you ready to rock? Join us this summer in RockSTAR camp! *Each student will audition and be assigned an instrument based on student interest and the best fit for their band. Instruments include guitar, bass, keyboards, drums and vocals. Students will play this chosen instrument for 2 weeks in band rehearsals. *Instruction will also be provided on all instruments for further learning. *Attendance and punctuality are crucial to this camp and the student band's success. *RockSTAR showcase will be on the last Friday of camp. Students will be photographed and video recorded during this camp. This camp runs 2 weeks. $175 per week. $300 total. 5 day enrollment required per week. "For it's 1, 2, 3 strikes you're out at the old--- ball--- game!" That's right, we will be exploring all of the best aspects of "America's Favorite Pastime" in STAR's in the Outfield! This is the camp for you if you want to fine-tune your existing baseball skills and develop new ones. Through our practice of fielding, base running, pitching, and batting, we can guarantee you will leave camp after the week as a better ballplayer. So grab your mitt and bat and sign up for STAR's in the Outfield! See you on the diamond! *Students must wear athletic shoes, comfortable clothing, and bring a water bottle and a baseball glove daily. Students are strongly encouraged to wear a baseball cap daily as well. If you have ever enjoyed Science, Technology, Engineering, Art, and Math, then this is the camp for you! S.T.E.A.M Club will prove to be the most exciting learning experience yet as you harness kinetic energy to make a moving sculpture, engineer giant ZOME structures, and construct and build many of your own designs. Come along and join S.T.E.A.M Club to be the engineer of your own summer fun! Are you a secret agent in hiding? Have you ever wanted to learn how to crack codes, create gadgets, and take on a new identity? 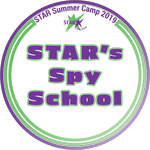 In STAR's Spy School, you will have the opportunity to sneak through obstacle courses, practice mastering foreign accents, and work together as a team to complete daily missions. Make sure your cover doesn't get blown, and always know your surroundings. Are you ready to accept your mission? *Students must wear athletic shoes, comfortable clothing and bring a water bottle daily. All aboard! Platform 9 3/4 is calling all Wizards to board the Hogwarts Express! Once you've arrived at Hogwarts, you will be sorted into specific houses (Gryffindor, Slytherin, Ravenclaw, or Hufflepuff). You will attend classes such as Transfiguration, Care of Magical Creatures, Potions, Quidditch, and much more. Each house will have the opportunity to earn points towards the Hogwarts Celebration at the end of the week. We encourage you to dress up and show your Hogwarts pride throughout the week, especially on Friday! Sign up today to join us on this journey to find your Wizard within. *Students will be viewing clips of Harry Potter and the Sorcerer's Stone, Harry Potter and the Chamber of Secrets, and Harry Potter and the Prisoner of Azkaban throughout the week. On Friday, students will watch Harry Potter and the Sorcerer's Stone during our celebration. So you think you can dance? Join us in our fun-filled Just Dance camp, open to all boys and girls who are ready to bust a move! This year, we will be doing a Jazz-Hip Hop Fusion theme that will transport you through the styles of Jazz and Hip Hop Dance! At the end of the week, you will have the opportunity to show off your routine in a special dance performance for all of your family and friends to see! *Students must wear athletic shoes, comfortable clothing and bring a water bottle daily. ATTENTION ALL INVENTORS! If you like to create, build, and generate ideas, then Inventors Club is the camp for you. Inventors Club is all about channeling your inner engineer, and bringing some of your greatest ideas to life! Exercise your inventor skills to create a system that helps keep our earth clean, devise solutions to real life problems, and even construct a contraption that will send confetti flying through the air! Anything is possible here, so come have some fun and expand your imagination at Inventors Club! "With great power comes great responsibility!" Get ready to explore the SUPER world of Superheroes vs. Villains! Here at our very own STAR Super Academy, you will battle your arch nemesis in a partner game, use your special abilities to outrun the joker in a scavenger hunt, and gain a different perspective on being a villain. Superheroes vs. Villains will take you to great heights as you learn about chemical reactions with Joker's acid and light pathways using your bat-signal. From your costume to your powers, get ready to create your own persona and discover what it really takes be a superhero! Calling all bakers! Have you ever wanted to create your own delicious desserts? Indulge your sweet tooth every day as you learn tasty new recipes, including cookie dough s'mores, cake pops, dessert pancakes and much more! In this camp, you will become a master of desserts by following exciting recipes and using small kitchen appliances to create chocolate and sprinkled-filled treats. You will also have the chance to test your skills in fun baking challenges, such as Cupcake Wars! Join us in the kitchen and your summer will surely be a sweet one. *This camp will be a peanut and tree nut-free environment, but allergens such as eggs and milk are included in the recipes. Are you looking "FORE" a fun camp? Have you ever played golf? Whether you are a first time golfer, or a master of the sport, you will get plenty of practice to sharpen your skills and get into the swing of things! We will explore some fun new ways of playing golf such as Ladder Golf and Shuffleboard Golf. You will even have the opportunity to design and build your own mini golf course! You will have so much fun that you will be wishing for a camp "mulligan" (do over)! *Students must wear athletic shoes, comfortable clothing and bring a water bottle daily. Welcome, young Padawan! Are you interested in learning about the ways of The Force? 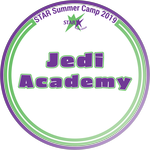 If so, you are invited to attend Jedi Academy this summer! In this Star Wars themed camp, you will be producing your own droids from recyclable materials and crafting awesome foam lightsabers along with participating in a rescue challenge and physical games. You will also be learning about other aspects of the Star Wars legacy like the Star Wars heroes and villains, and how the famous music and special effects in the movies were developed. Sign up now and may The Force be with you! *This camp will explore topics related to the Star Wars movie franchise, such as The Force, lightsaber training and battles, and viewing scenes from various Star Wars films. Who doesn't want to learn about science through explosions? Do you ever wonder what causes your hair to stand up when you go down a slide? Or what causes lightning to strike? 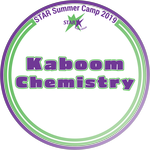 When you sign up for Kaboom Chemistry, you will explore science with hands-on experiments investigating fluids, shocking static electricity, exothermic reactions, and much more. Come join us as we explode through science together! Are you a board game connoisseur? Do you love the thrill of playing games? Well then, Game On is the camp for you! In this week long adventure, we will be braving the sweet world of Candyland in our life-size board game, testing your skills with Minute to Win It and demonstrating your creativity when you become your very own board game creator! Let's get our Game On! Vincent van Gogh once said, "If you truly love nature, you will find beauty everywhere." It's time to embrace nature and utilize the elements to create incredible artwork! Come along on a journey to discover how you can make prints by embracing the power of water. You will use found objects to create usable paint brushes and practice the art of meditation with your own zen sand garden. Throughout this camp, you will learn amazing facts about the natural world around us and use various artistic techniques to create masterpieces with it. Sign up today and let's get back to nature! 3..2..1..BLAST OFF! Let's travel together deep into space to explore parts of our universe you can only imagine. We will launch into the nebula, explore the constellations, and investigate whether or not life can form on other planets. During our exploration, we will launch our own rockets, experiment with moon rocks, and even create space slime! The universe is expanding more and more, the only way to discover it is to turn to the stars. Join us for a summer that will truly be out of this world! Do you love sports games? 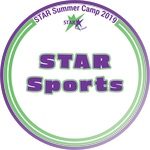 In STAR Sports you will get the opportunity to experience games like Capture the Football, Knock the Block, and a mashup of Basketball and Kickball called Baskickball. No matter what type of games you enjoy we will have a game for you! All participants, both rookies and expert STAR athletes, are evenly matched in order to ensure a fun and exciting environment where everyone will feel comfortable. Sign up and practice your best game face to use this summer in STAR Sports! *Students must wear athletic shoes, comfortable clothing and bring a water bottle daily. Lights, Camera, Action! Have you ever been watching a movie in the theater and wanted to see your name scroll through the credits? Have you found yourself dreaming of big ideas like The Nightmare Before Christmas or Kubo and the Two Strings? Stop Motion Animation allows YOU be the writer and executive producer of your very own Stop Motion Animation film! In this camp, you will get to explore what it takes to plan and create your own short film. You will create your film from start to finish, beginning with a storyboard, set design and your own Claymation character, and then become a cinematographer using a tablet to record your film! That's right, everything is done completely by YOU! Invite your family and friends to watch your final animated film on the big screen during our Friday Movie Premiere! *If you would like to take a copy of your video home at the end of the week, please supply the staff with an unused USB drive. Do you love to experiment with all of the fascinating, yet grotesque things that life has to offer? Well then, Grossology is the camp for you! From the awesomely awful to the surprisingly scuzzy, Grossology will take you on an adventure through hands-on scientific exploration. Come and discover the science behind some of your favorite delightfully disgusting and pleasantly putrid projects. Some of our projects include creepy crawlies, a germ garden, and even dissecting an owl pellet! CAUTION! - By attending Grossology you will experience a never-ending curiosity about the nasty, grody, and hideous discoveries of the Earth. You may get a little messy in the process, so wear your Grossology attire to camp. Put on your safety gloves and let's get ready to discover Grossology! On your mark, get set, go! 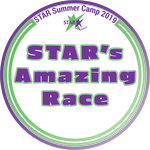 STAR's Amazing Race is ready to take off on an around-the-world adventure! Once you arrive at our departure point, you will be grouped into teams to "travel" with throughout the week. You will work together with your team to complete fun challenges, scavenger hunts, and obstacle courses! Not only will you be racing to win first place, but you will get the opportunity to explore a little bit of the culture in each country we visit. Make guacamole in Mexico, clay cartouche necklaces in Egypt, and so much more! Grab your passports and get ready for one incredible race! *Students must wear athletic shoes, comfortable clothing and bring a water bottle daily. Students will watch part of the movie Around the World in 80 Days (PG) during our celebration on Friday. HOOP, there it is! In All-STAR Basketball, we will focus on the fundamentals of basketball so get ready to dribble, pass, shoot, and score! This is the perfect camp for the beginner player and the more experienced player alike. You will get the chance to demonstrate your newly acquired skills in our STAR championship game on Friday for your family and friends to watch and cheer you on! Remember that even the pros come to practice ready to play, so don't forget to lace up your sneakers and grab your water bottle. *Students must wear athletic shoes, comfortable clothing and bring a water bottle daily. Have you ever dreamed of making the game winning touchdown or throwing a football into the receiver's hands to the sound of a cheering crowd? Would you like to learn how to catch a football like the pro athletes do during a heart-pumping game? In Football, we will be going over the basics of football and get plenty of play time. Once you step on the gridiron, you won't ever want to leave. But remember that even the best players are ready for practice, so make sure to bring your water bottle and sneakers each day. Get ready to play in the STAR BOWL TOURNAMENT at the end of the week! *Students must wear athletic shoes, comfortable clothing and bring a water bottle daily. What exactly is music? In this camp, we will explore that question through fun, hands-on activities that draw from science and tech0logy, as well as different cultures and musical history. Together, we will learn about how music works, experiment with different instruments, and even create some of our own electronic music and sound effects! Join us to foster your creative spirit through karaoke, music-inspired arts and crafts, and music expression from classical to hip hop. From the casual music fan to the avid budding young musician, all levels of interest and experience are welcome in STAR's Sounds of Music! 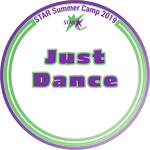 Try it all this summer with STAR's one of a kind variety camp! SuperSTAR allows you to participate in a variety of programs including Sports, Science, Art and other fun activities! In addition to offering campers the most varied experience, this is also a great way to end our summer program. 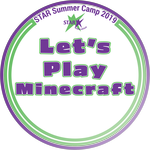 SuperSTAR camp encourages campers' creativity, innovation and exploration. $35 per day. 1 day minimum enrollment required. 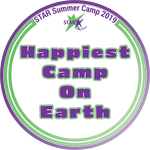 If you are looking for extended hours before and after regular camp hours, then sign up for STAR's exciting Enrichment Studio! Students will pick from exciting, hands-on, self-directed activities such as Brain Busters, Board Games, Art Activities, Manipulatives, plus challenging group activities and Friday afternoon Cinema Experience! It is a great way to enjoy and benefit from even more of what STAR has to offer. Your Extended Care schedule is contingent on concurrent enrollment in a summer camp and must match your summer camp schedule. *Drop-in care is available upon request based on availability. A $20 per day drop in fee will apply.